It wasn’t that long ago I spent a magic filled weekend with Todd and Diane (White on Rice Couple) in their California studio. It was one of those experiences I will never forget. Not only is their sun soaked space a dream come true for anyone with a camera, but they have a prop room the size of most homes. They invited a group of food bloggers to play in their kitchen and challenged all of us to push our photography in new directions. The talent of the group was mind bending, but it was really the generosity of the group, who freely shared their wisdom, that was so inspiring. One of the lovely people I met that weekend was Gina Homolka from SkinnyTaste. Her blog and her book are both beautiful and a pure reflection of the woman behind them. She served a salad at the studio party that was simply incredible, so I bought her book. Now that I am home in the polar vortex that is Minnesota, and pretty much snowed in until March, I am all about hot soups. I wanted something that felt hearty enough to conquer the cold, but didn’t make me feel like I needed to nap after. I flipped through Gina’s book and found “Un”stuffed Cabbage Soup. I love stuffed cabbage. 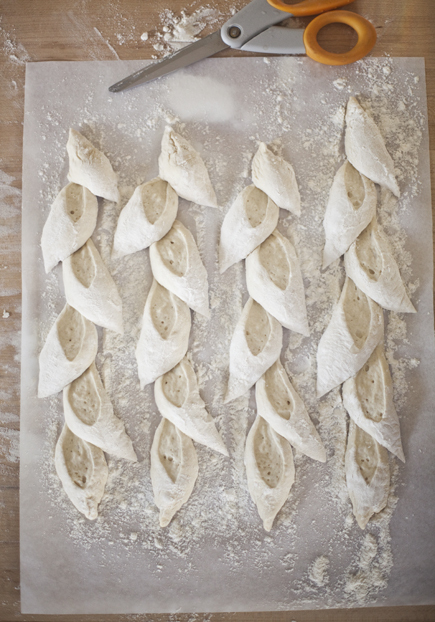 It reminds me of my grandmother’s kitchen, but I’ve never had the patience to make them. This soup has all of those wonderful flavors, but none of the work. 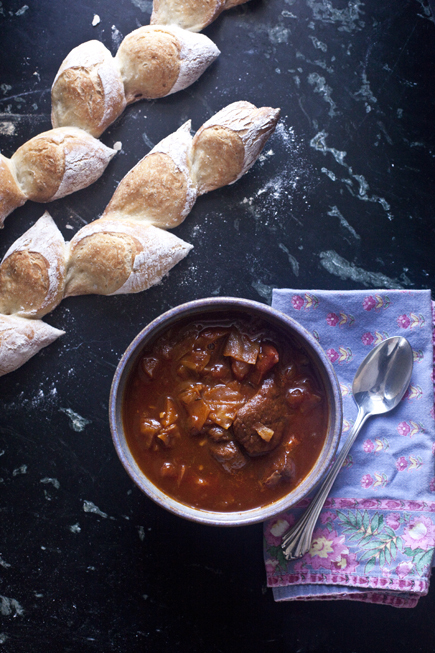 Perfect for a cold night with a loaf of fresh bread. 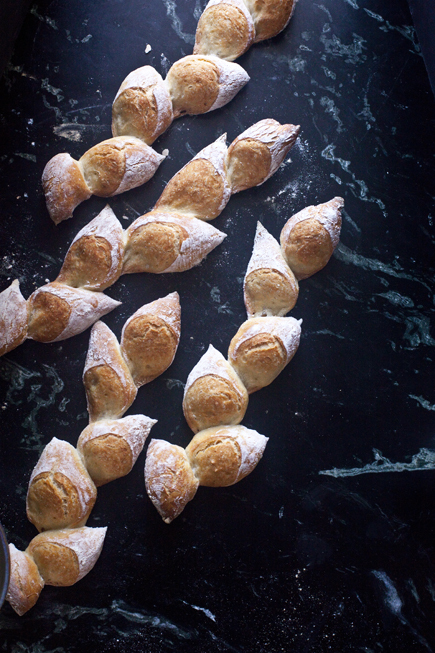 I went with an ultra crusty Epi, but to keep it skinny, I made mini ones. 1 pound lean ground beef – I had beef that was cut in cubes for stew, so I used that instead and it was awesome. 2 tablespoons honey – my grandmother’s sauce was a touch sweet, so I added this, but try it without, as Gina wrote it, first. Brown the meat over high heat in a large Dutch Oven. If you are using the cubed meat, then you’ll want to brown in some oil. Add the salt as you are browning. Once the meat is browned, turn down the heat to medium, toss in the onions, garlic, paprika, and thyme. Toss to coat the meat and cook for about 5 minutes to toast soften the onions. Add the tomatoes, tomato sauce, and beef stock*. Add the honey, if using. If you are using the cubed beef, cook for about an hour, or until the beef is tender. Once the beef is tender, add the cabbage and cook until it is soft, about 35 minutes. Add the brown rice and serve. 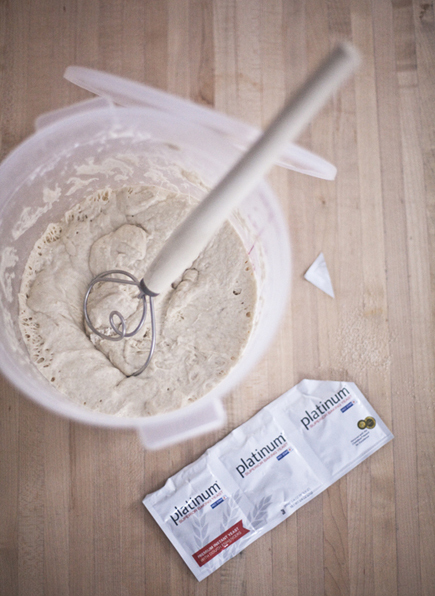 I used the Master recipe from The NewABin5 with Red Star Platinum Yeast, but you can use any lean dough from our books. 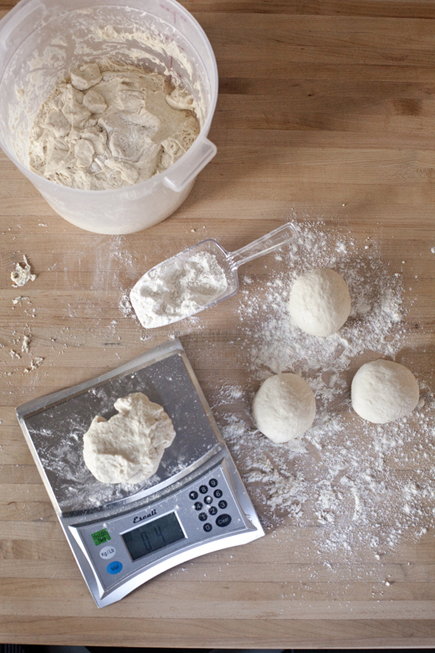 (A lean dough is one that has little or no fats, eggs, sweeteners, which means it can be baked at a higher temperature. If you use one that is enriched with the ingredients I mentioned, then follow the baking temperatures for those doughs or they may burn.) 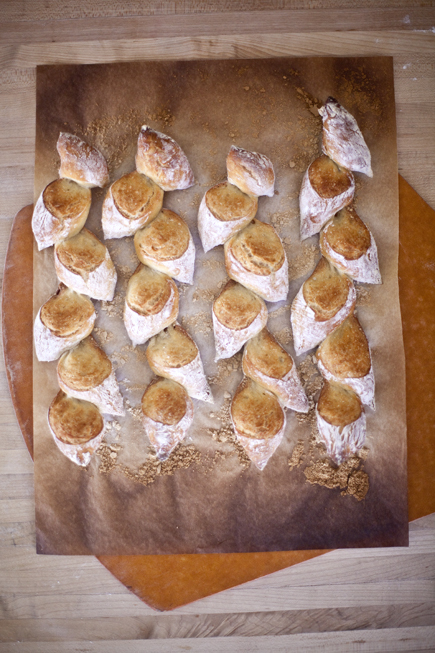 You can also use the Master Recipe from our new Gluten-Free Book. In our books we say to use an 8-ounce piece of dough for an Epi, but I wanted these to be smaller, so I used 4-ounce pieces. 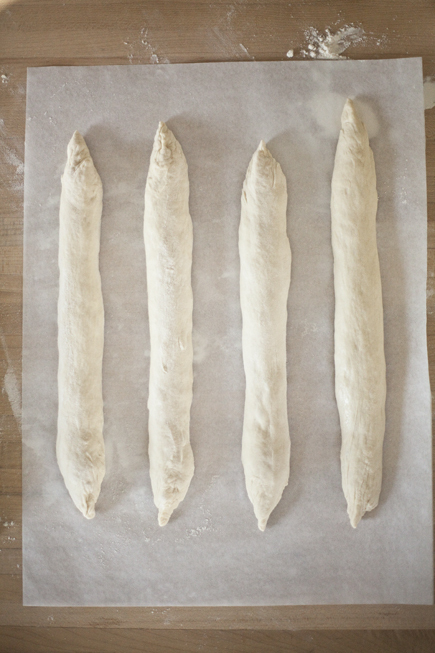 Preheat oven with a baking stone or steel to 475°F. 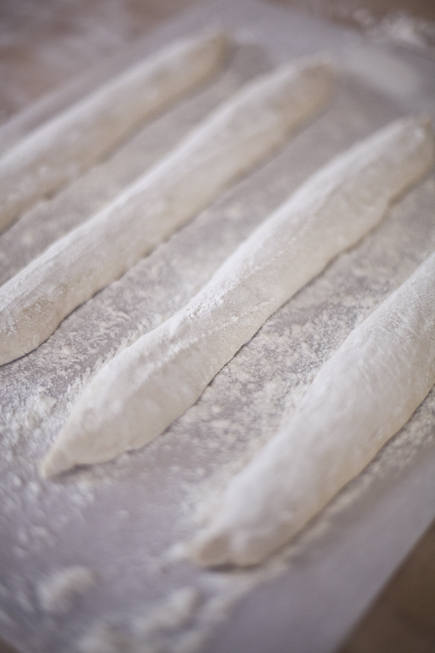 Gently smooth the flour over the surface of the dough. Cut the points on the Epi with a pair of Kitchen Shears that have a long blade, you can find directions in the book or in this post. 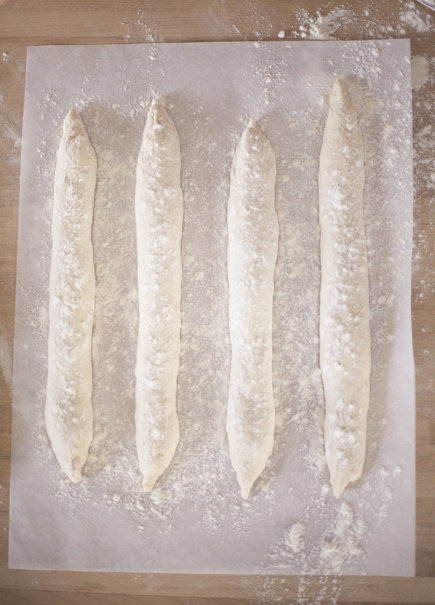 Slide the bread onto a preheated baking stone and add steam to the oven to create a nice crust. Bake for about 20 minutes or until gloden brown. Allow to cool slightly before eating. Because of their small size, these can be eaten warm. Enjoy your soup and stay warm! 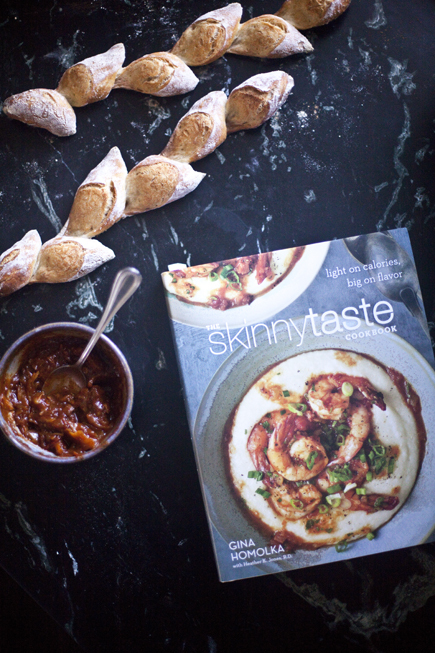 *Enter to win a copy of SkinnyTaste by leaving a note in the comments. All normal rules apply. This contest is finished and the lucky winner of SkinnyTaste was Keith! Enjoy the book in good health! Oh this looks yummy! LOVE fresh made bread with my soup. Something to try out this weekend…..
Just awesome. I’ve been hoping for a GF solution to great breads like this one. 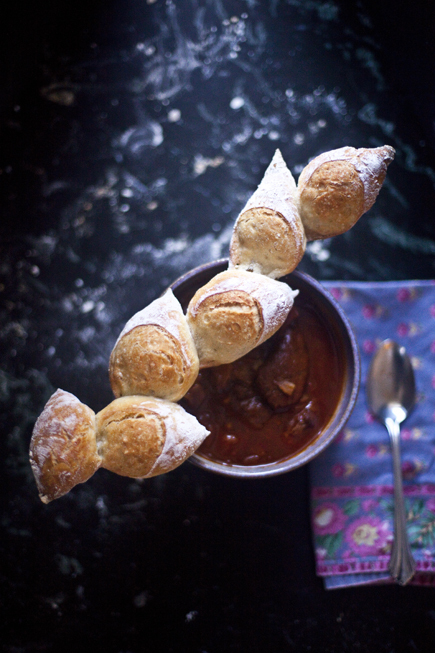 Great recipes for a cold winter night like tonight. Looking forward to a great bowl of healthy soup with the amazing mini epi. The soup looks amazing, and the mini epi accompanies it perfectly! What a winning combination and way to get all of the goodness in a wholesome and healthy way. 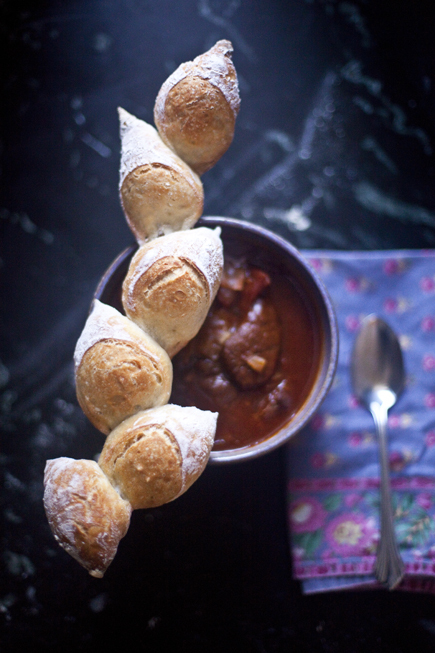 What a creative way to enjoy bread with soup! Thanks for sharing and thanks for the giveaway! Blessings from Bama! Thank you – this looks like a great combination. My mother used to make galumpkis, and with snow in the forecast, I think I have the weekend planned. At least now I don’t have to head down to the bakery for the bread! Sounds yummy. will have to try it today! I just stumbled upon your blog. It looks interesting! Thank you for sharing some food.